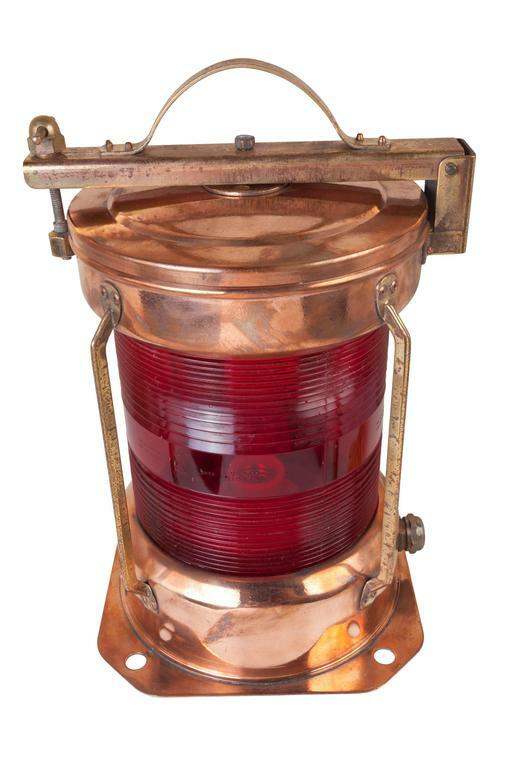 Brass anchor lantern with highly polished Fresnel lens with removable red filter. Japanese made, dated 1969. 10" wide x 19" tall without handle. 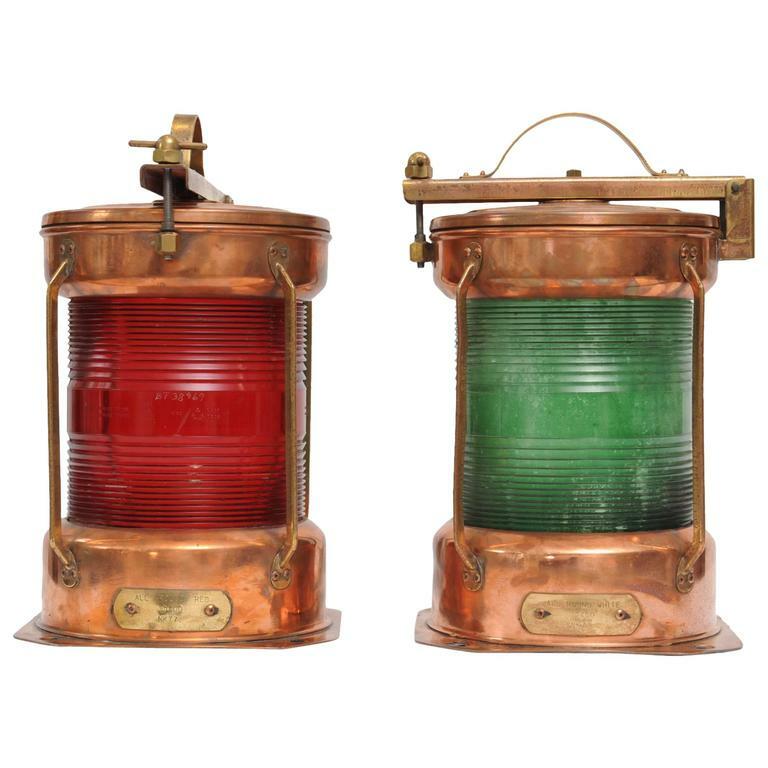 A pair of double-stack copper ships lights, port and starboard. Each fitted with two Fresnel lenses, each lens marked with triple G monograph. Wired for mains electricity. 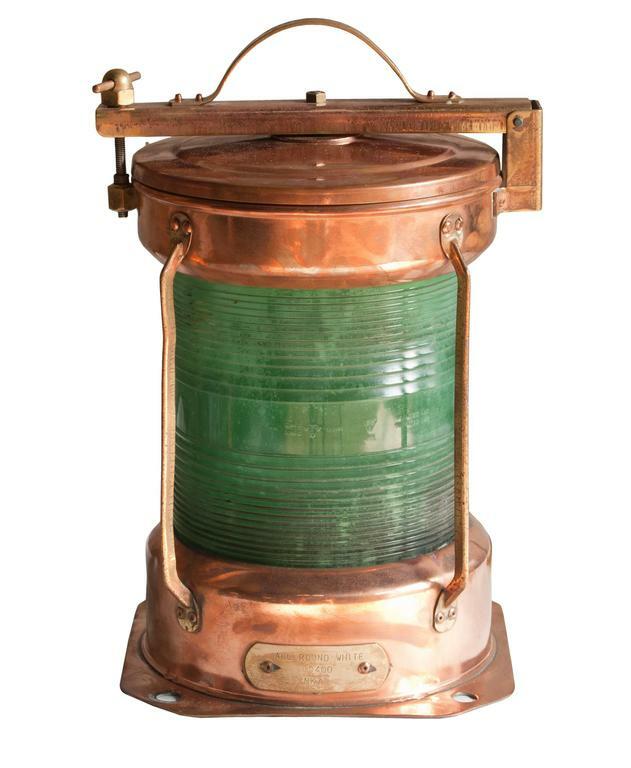 Classic American ship's binnacle wonderfully restored with gimbaled compass by Wilfrid White of Boston. Varnished base with compensating balls. Measures: 52 x 33 x 17. A high quality brass technical model of a four blade marine or ship’s propeller. The propeller rotates on shaft. Very loud yellow ship Horn in good condition. 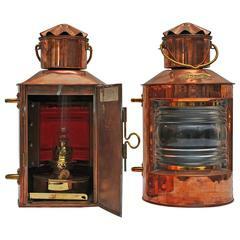 Salvaged from Danube river freighter ship. Weights 6 kg cca. (12 lb). Ship's aluminium telephone, perfect for your loft decorating!